(How to Set up Home Network or LAN?) It is so exciting when you create your First Home Network or LAN(Local Area Network) at home. 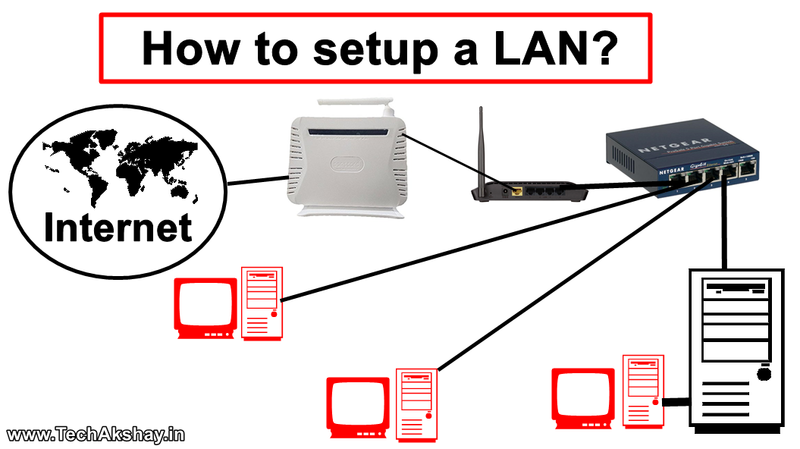 In this article, we will be learning How to Set up Home Network or LAN in 5 steps. How to Set up Home Network? – Step 1: Determine the number of computers you want to connect. – Step 2: Determine your network layout. – Step 4: Connect your modem to the WAN port on the router. – Step 5: Connect the switch to a LAN port on the router. Step 1: Determine the number of computers you want to connect. 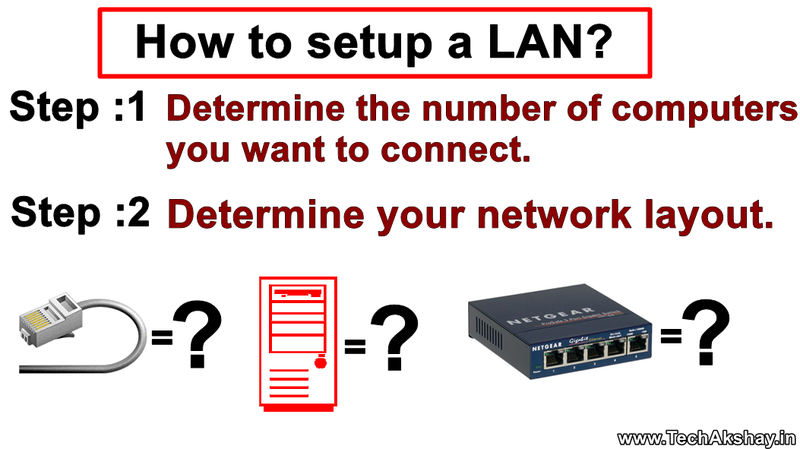  In Order to create Home Network or LAN, At first, you need to determine the number of computers you want to connect in Home Network or LAN. The number of computers you’re connecting will determine the type of network hardware you’ll need. If you are connecting four or less computer, you’ll just need a single router, or one switch if you don’t need the internet. If you’re connecting more than four computers, you’ll want a router and a switch, or just a switch if you don’t need the internet. - Step 2: Determine your network layout.  Now, determine your network layout. If you are installing a permanent Home Network or LAN solution, you’ll want to keep cable length in mind. CAT5 Ethernet cables should not run longer than 250 feet. If you need to cover larger distances, you’ll need switches at regular intervals, or you’ll need to use CAT6 cables. You’ll need one Ethernet cable for each computer you want to connect t40o LAN, as well as an Ethernet cable to connect the router to the switch (if applicable).  Next is to Obtain network hardware, to create a Home Network or LAN, you’ll need a router and/or a network. These pieces of hardware are the “hub” of your Home Network or LAN, and all of your computers will be connected to them. 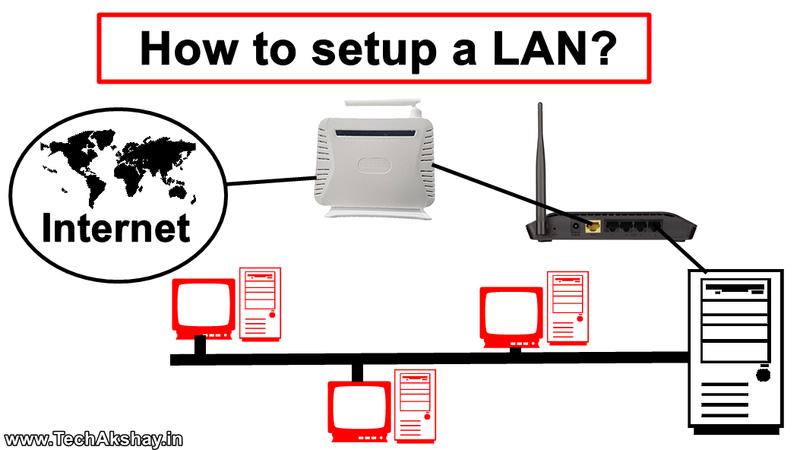 The easiest way to create a Home Network or LAN where every computer has access to the internet is to use a router, and then add a network switch if the router doesn’t have enough ports. A router will automatically assign an IP address to every computer that is connected to it. Switches are similar to routers but do not automatically assign IP addresses. Switches typically have many more Ethernet ports than a router has. - Step 4: Connect your modem to the WAN port on the router.  Next is to connect your modem to the WAN port the router. This port may be labeled “INTERNET” instead. This will provide internet access to every computer that is connected to your Home Network or LAN. You can skip this if you’re setting up a Home Network or LAN, but it makes things easier. If you just use a network switch, you’ll need to manually assign IP addresses to each after connecting them. - Step 5: Connect the switch to a LAN port on the router.  Now connect the switch to a LAN port on the router. If you are using ports on the router. You can use any open port on the switch to make the connection. 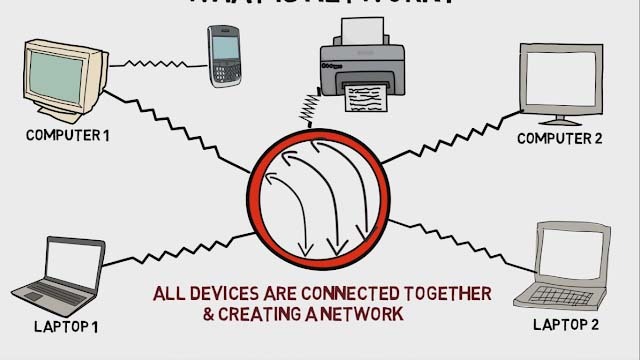 When connected, the router will provide IP addresses for every computer that is connected to either device. I hope the information provided above on How to Set up Home Network or LAN? 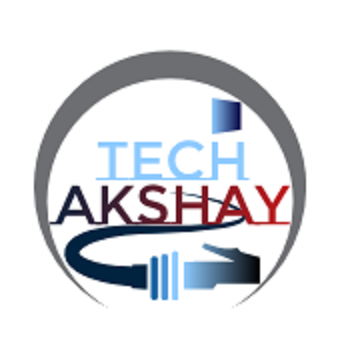 was useful, For any suggestions & corrections tell us in a comment & Do Like my Facebook Page. It really motivates me to make new stuff for you. The link is provided in the down below. Share the article it might help someone who is looking for the same information & and you have a chance today to help peoples. Share Button is available down below.